Dakota Johnson Joins Jon Hamm at 'Bad Times at the El Royale' Premiere! Dakota Johnson stuns on the red carpet as she steps out for the premiere of Bad Times at the El Royale on Saturday night (September 22) at the TCL Chinese Theatre in Hollywood, Calif. The 28-year-old actress went glam in a stunning pink gown as she attended the premiere alongside co-star Jon Hamm. Also stepping out for the premiere were fellow co-stars Cynthia Erivo, Jeff Bridges and wife Susan Geston, Cailee Spaeny, and Lewis Pullman. Bad Times at the El Royale hits theaters on October 12 – check out the trailer here! Armie Hammer and Elizabeth Chambers coupled up for the Santa Barbara International Film Festival! 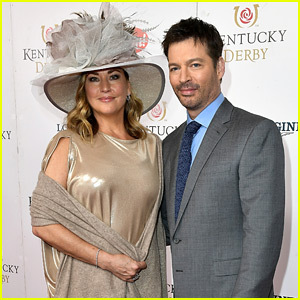 The duo hit the red carpet at the event that was honoring Judi Dench on Thursday night (November 30) at Bacara Resort & Spa in Goleta, Calif. They were also joined by Jeff Bridges, Susan Geston and Ali Fazal, who all posed for photos alongside Judi. 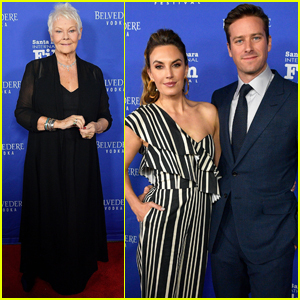 During the ceremony, Judi was honored with the Kirk Douglas Award For Excellence In Film, which was presented to her by Armie. “Three dudes and a Dame… thank you Dame Judi for asking me to present you with the Kirk Douglas Excellence in Film Award at the #santabarbarafilmfestival,” Armie wrote on his Instagram. Salma Hayek and Rashida Jones looked gorgeous at the 2017 Screen Actors Guild Awards! The actresses stepped out in some pastel colors as they hit the red carpet on Sunday evening (January 29) in Los Angeles. 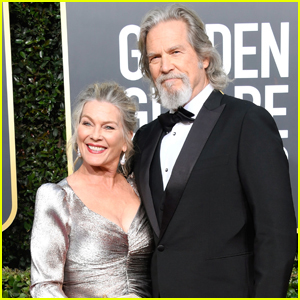 The duo were also joined on the carpet by Jeff Bridges and his wife Susan Geston. During the ceremony, Salma presented the award for Outstanding Performance by a Male Actor in a Miniseries or Television Movie to Bryan Cranston. FYI: Salma is wearing Gucci and Irene Neuwirth jewelry. Rashida is wearing a Vivienne Westwood dress, Stuart Weitzman sandals and Irene Neuwirth and Ileana Makri jewelry. Jeff is wearing Brioni. Susan is wearing Buccellati jewelry.